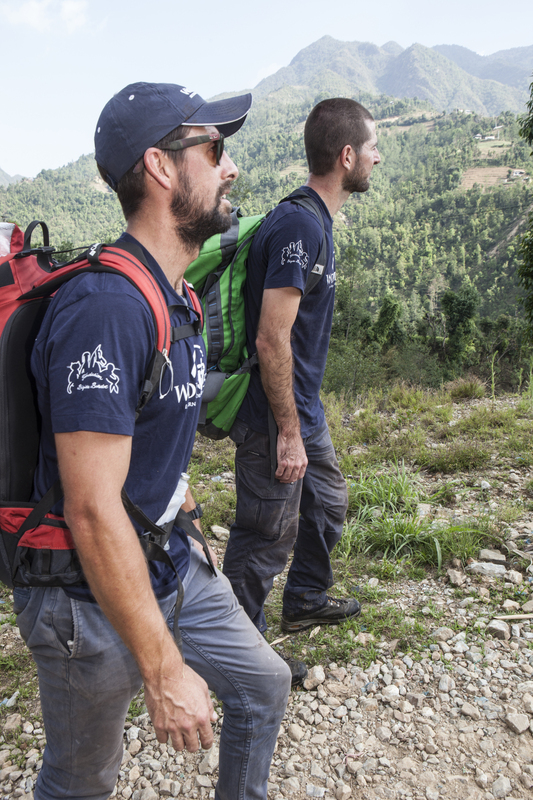 World Vets Disaster Response Team is extremely busy in Nepal, racing to save animals caught in the wake of the 7.8 magnitude earthquake that has killed more than 6100 people and countless animals. 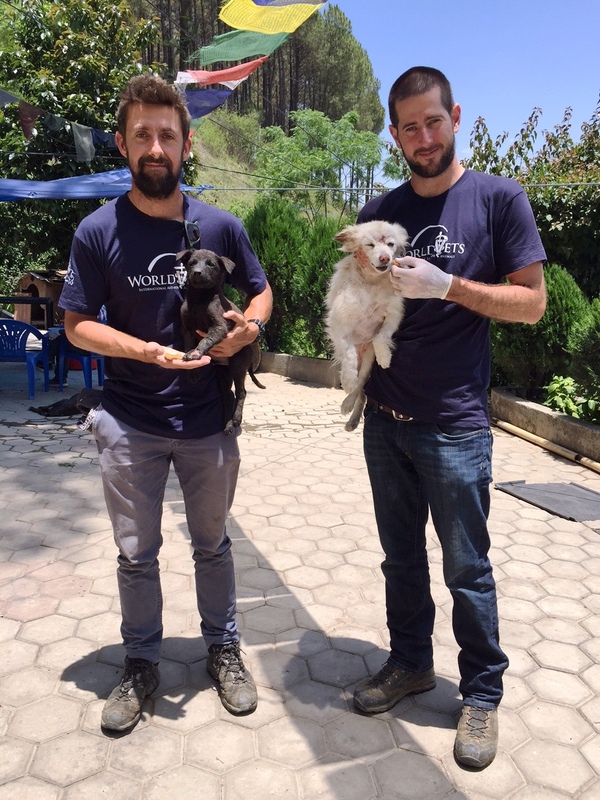 While the response to human casualties is justifiably prioritized, there are many animals that are in a desperate situation and World Vets is on the ground in the strike zone to help them. 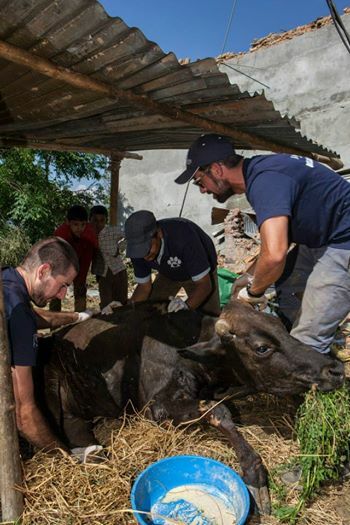 Already there has been a huge demand for life-saving veterinary work not only for companion animals but also for street dogs, livestock, horses and donkeys. 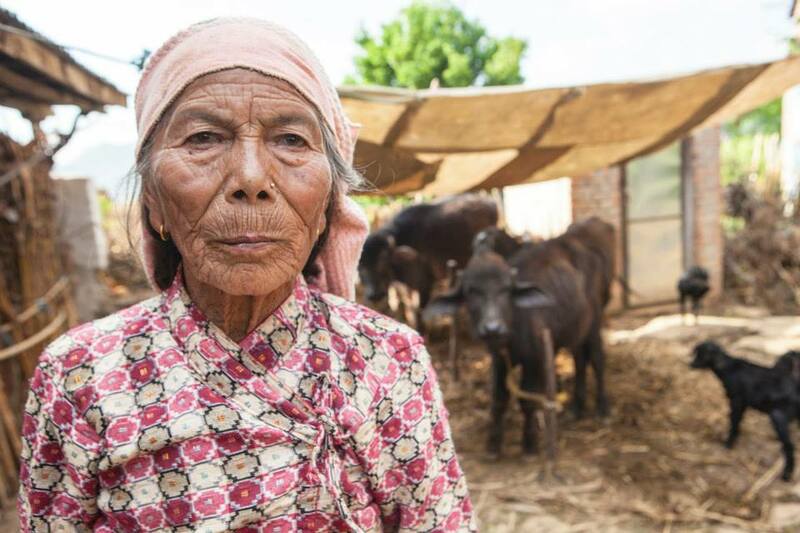 The livelihood of many people in Nepal is dependent on livestock and working animals, and our work is not only helping the animals but also the families of Nepal who depend on them for their own survival. 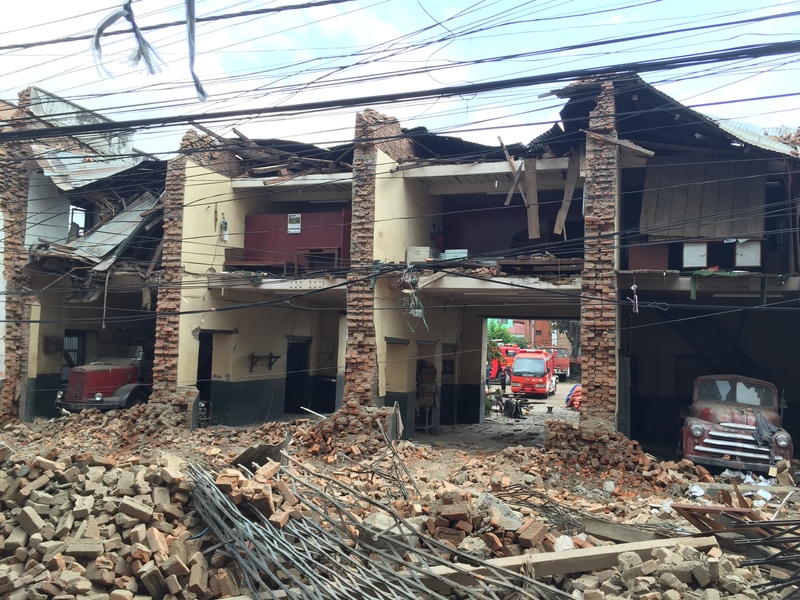 Your support allows us to provide urgent care to animals impacted by this disaster. 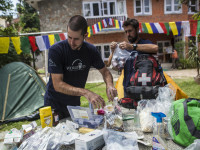 Please support World Vets’ International Disaster Relief Fund now. 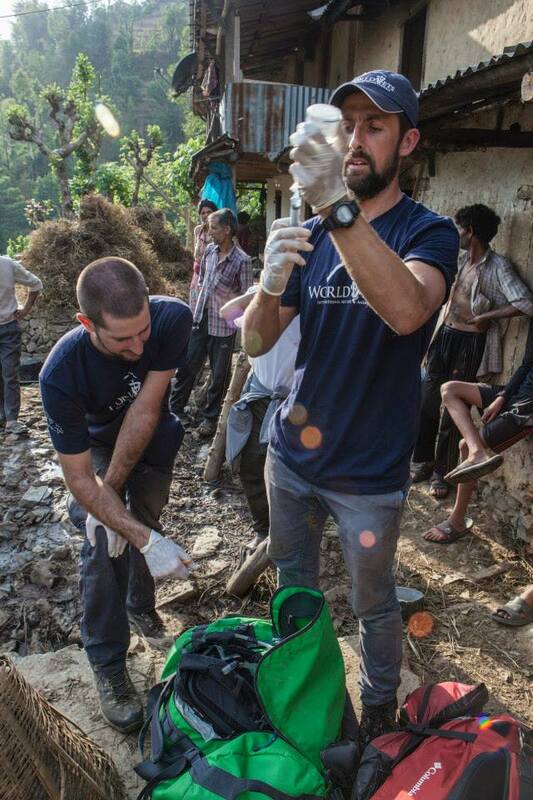 Your donation is urgently needed. Thank you. 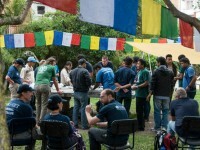 World Vets response to the Nepal earthquake focused primarily on the remote and outlying rural villages in the country. 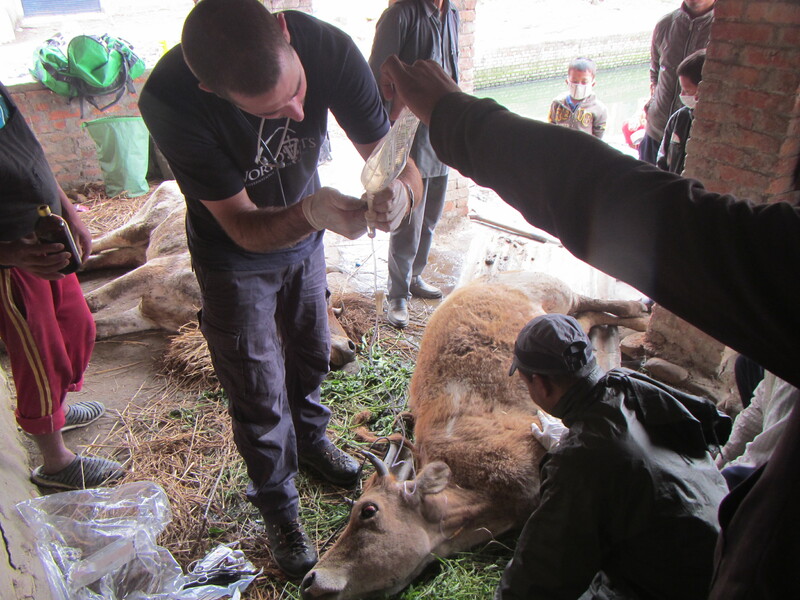 These locations proved to be the hardest hit and in need of urgent, and often times life saving, veterinary work for primarily livestock. 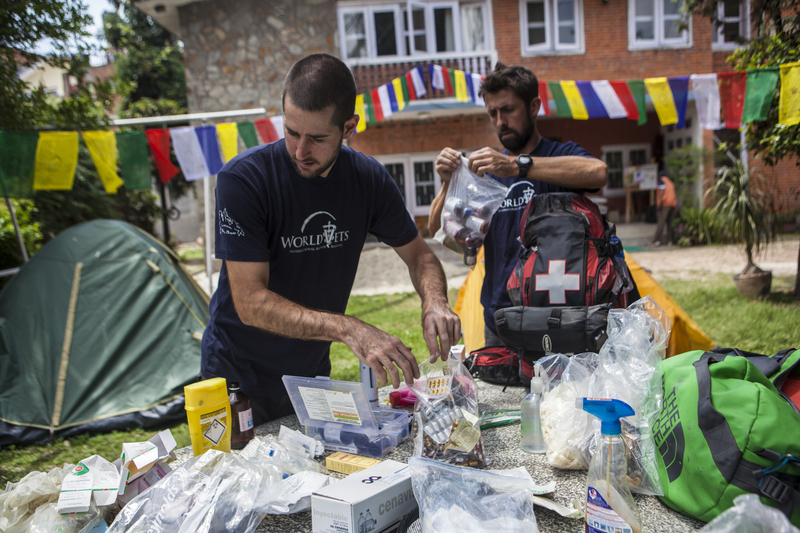 Our disaster response team was one of the first to arrive after the earthquake and worked in collaboration with local animal rescue groups, local and government veterinarians as well as other international aid agencies. 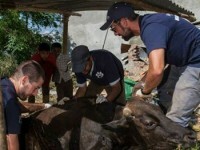 Our services included direct animal care, capacity building for long term impact, establishing and providing training for specific treatment protocols for challenging veterinary cases unique to this disaster. 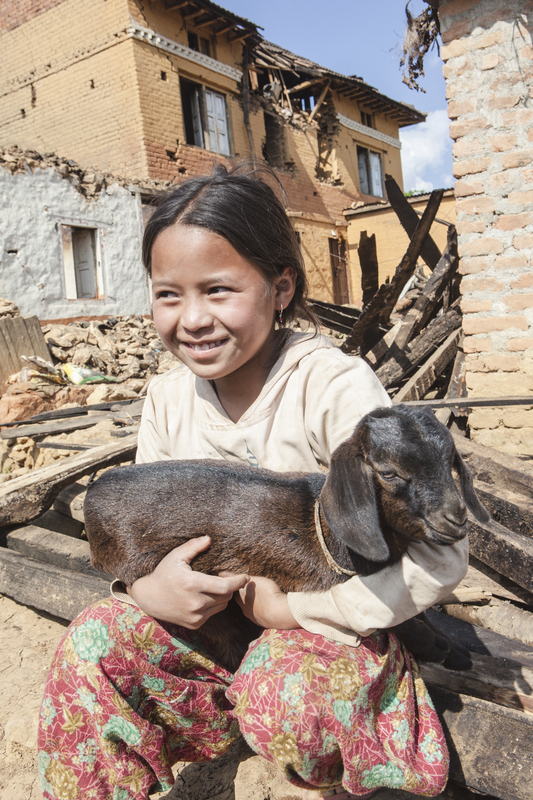 We also provided direct financial support to local animal welfare groups. 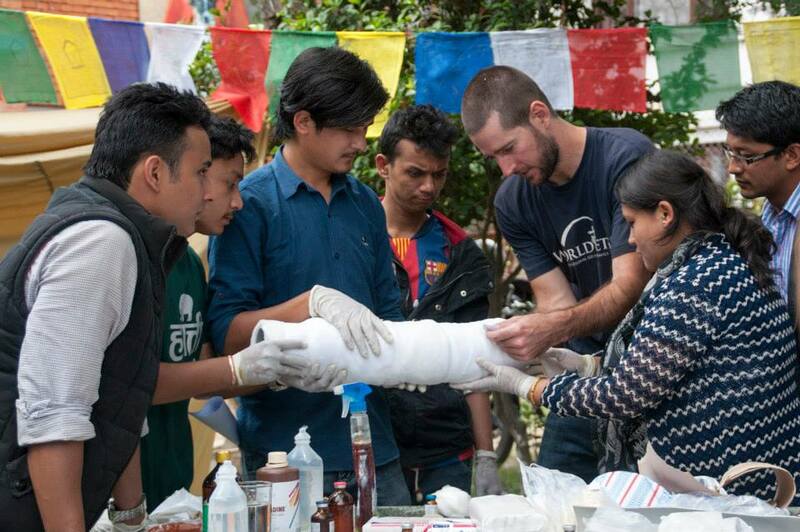 World Vets veterinarian Dr Ben Brown traveled with other NGO volunteers to the village of Kuvenda close to the Tibetan border this weekend. 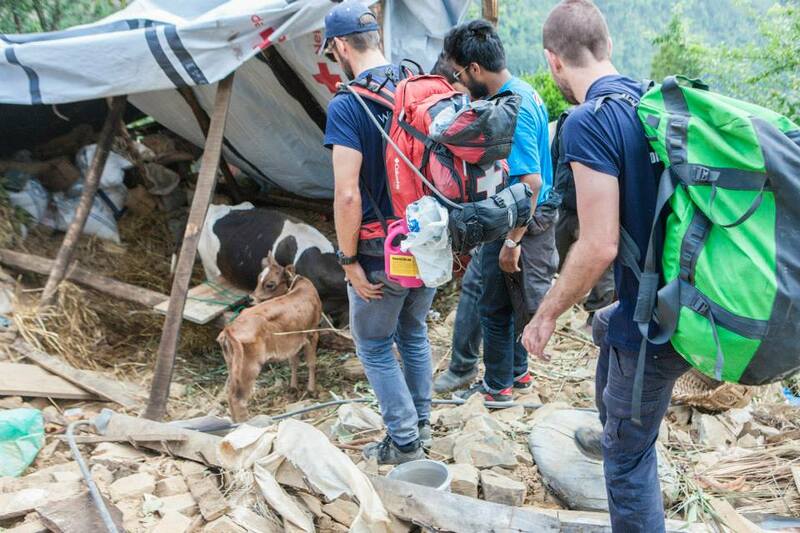 This is a prominent dairy area in this district and he will be treating cases here over the next few days. Below is a picture of Dr Brown with the Sapkota family who live in the area. 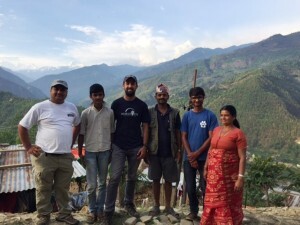 Their son works for Animal Nepal, an animal welfare organization based in Kathmandu with whom World Vets is collaborating in country efforts. 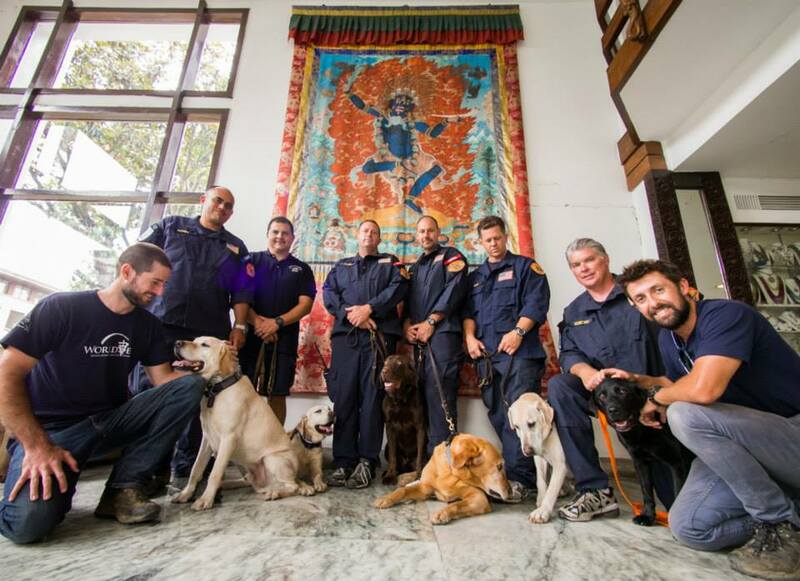 World Vets veterinarians Dr Ben Brown and Dr Springer Browne provided health checks and medical consults in Nepal for the Los Angeles County Fire Department K-9 Search and Rescue dogs, trained by the National Disaster Search Dog Foundation, led by Captain Andrew Olvera. 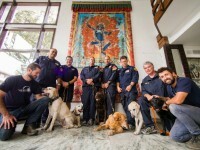 Stetson, Pearl, Rugby, Riley, Tanker and Ripley are the heroic dogs! 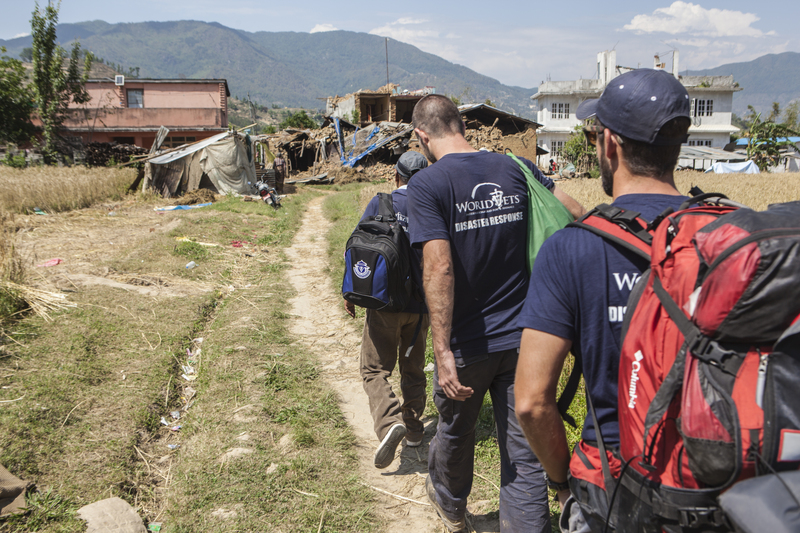 Most of our work in Nepal has been focused in rural villages near the epicenter, but we were happy to be able to assist these hard-working dogs that have played a very important role in the rescue efforts. 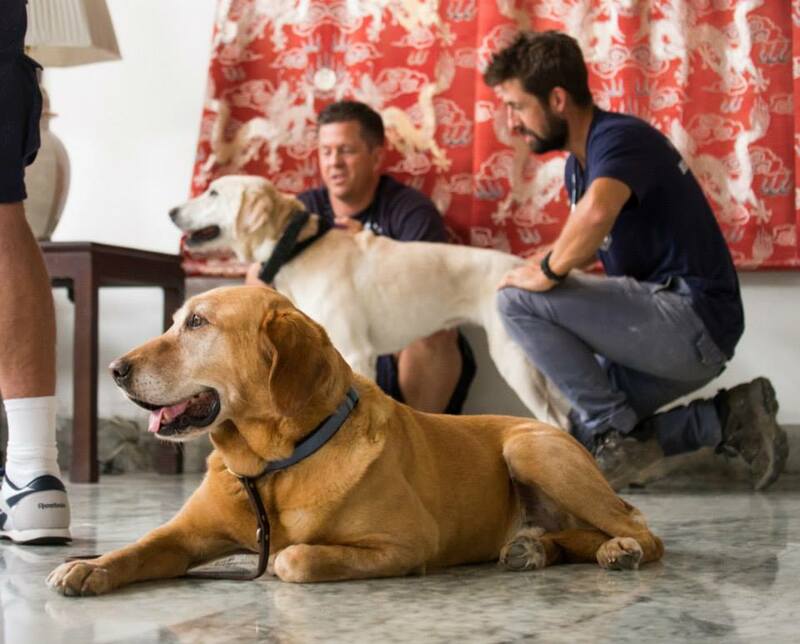 World Vets veterinarians, Dr. Springer Browne and Dr. Ben Brown, have been able to follow up on a few animal cases that they treated since their arrival. 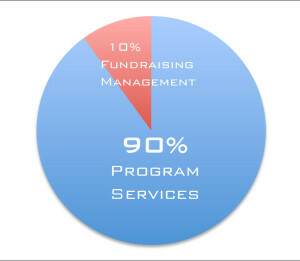 We are happy to report that there have been some great outcomes! One such animal is Dwarika – a small dog who received emergency surgery for life-threatening injuries. 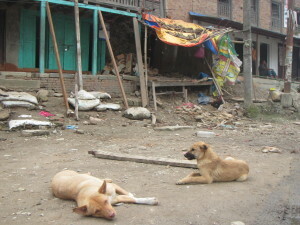 As a result of the earthquake many dogs have been displaced into unfamiliar territories and are getting attacked by other dogs that are fighting for survival. This is what happened to Dwarika (pictured below). She still has some healing to do since the ordeal, but she is feeling much better now. 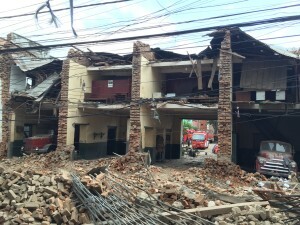 Earlier today another massive earthquake hit the already devastated country of Nepal. 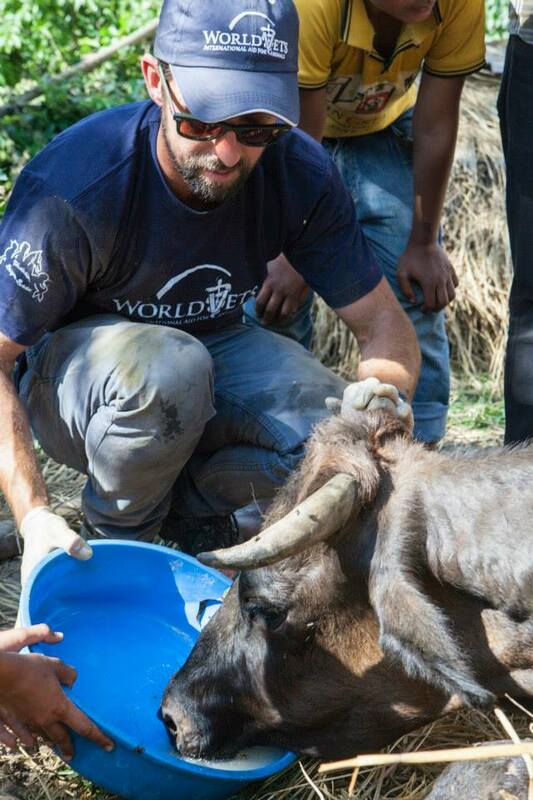 Our veterinary team is working under difficult conditions, but we have heard from them and they are safe. 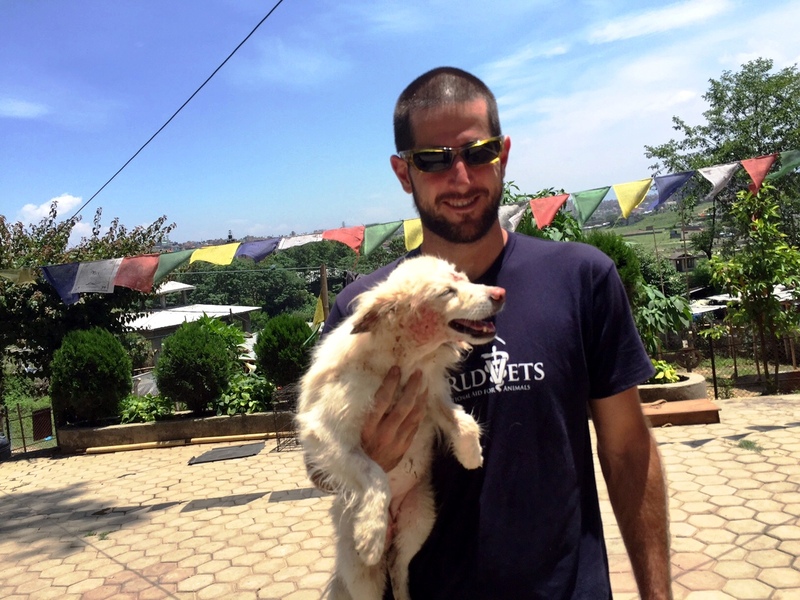 World Vets is continuing to help the animals & people of Nepal. 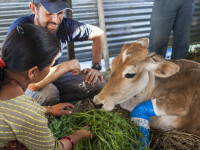 One of the most urgent animal needs following the earthquake is helping the many milk cows that have traumatic limb injuries and downer cow syndrome. 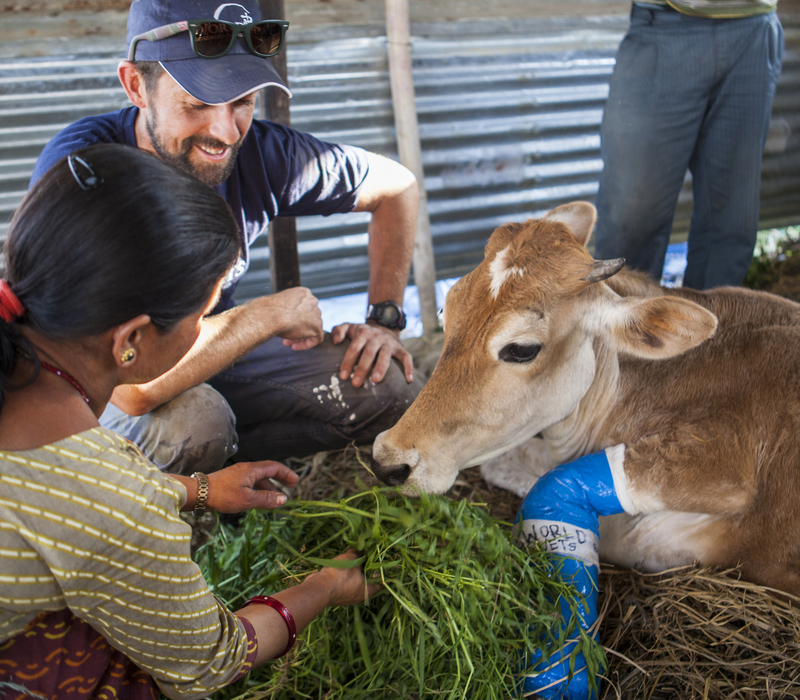 Our vets have livestock expertise and have been treating many of these cows. 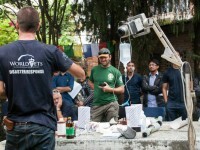 Since there is a limited window of time to initiate treatment and many more animals that need help in remote regions, World Vets veterinarian Dr Springer Browne held a workshop to teach the specific treatment protocols to Nepalese veterinary professionals as well as other local and international NGO’s. 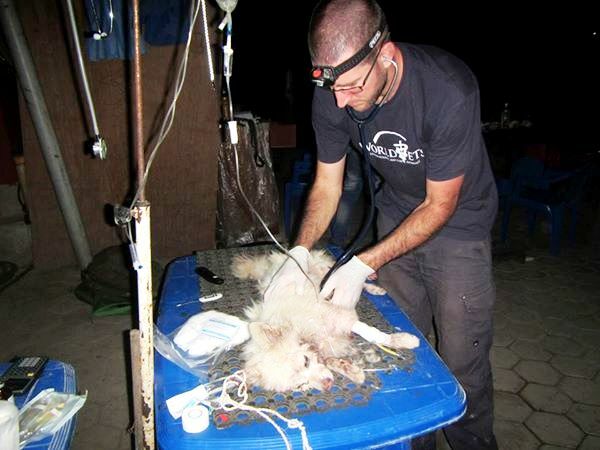 This will enable many more animals to get the help they need. 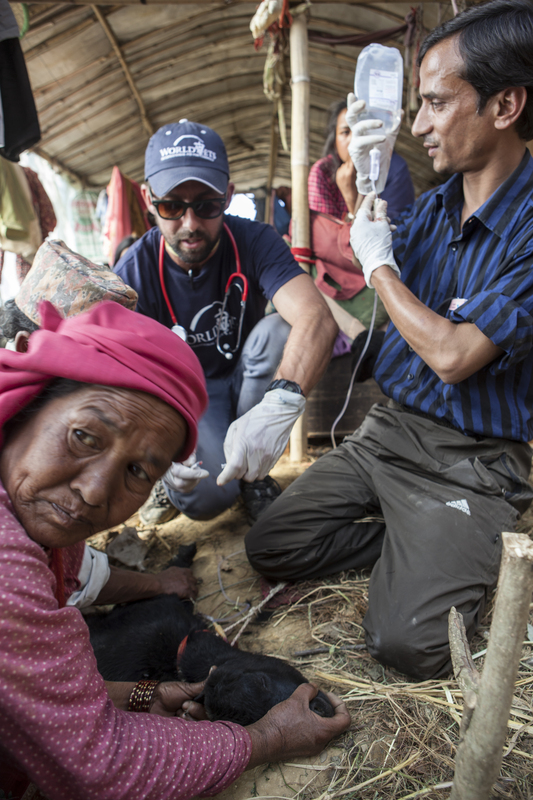 World Vets disaster relief team continues to work in Nepal with much of the efforts focused on animals in rural villages. 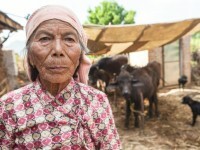 The livestock in these villages are not only providers of milk, but they are considered family members that are loved. 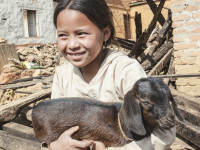 Our work not only brings care to injured and sick animals, but also to the families that depend on them and also to help prevent the spread of disease. 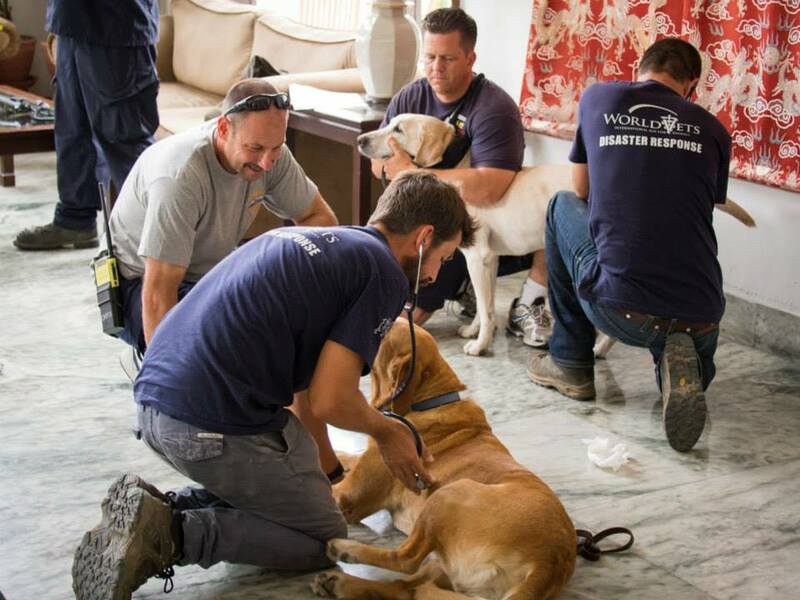 Our veterinarians have been collaborating their efforts with several local and international animal welfare organizations and government agencies who have all come together to help animals impacted by the disaster. 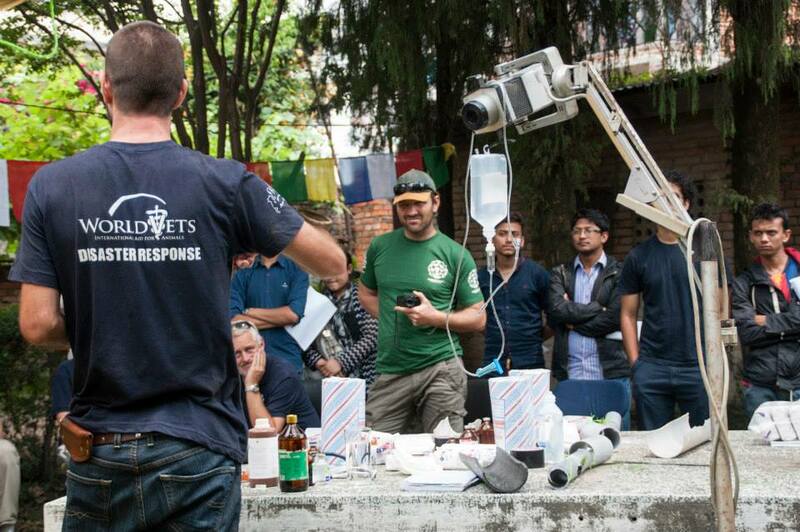 There has been a huge demand for our veterinarians in Nepal and today was another long with many animals saved. 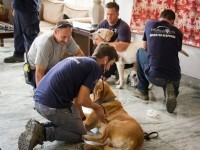 Just to mention a few, there was a pig that was injured from falling bricks, a dog that was rescued from an water ditch and a dog that had severe fight wounds. 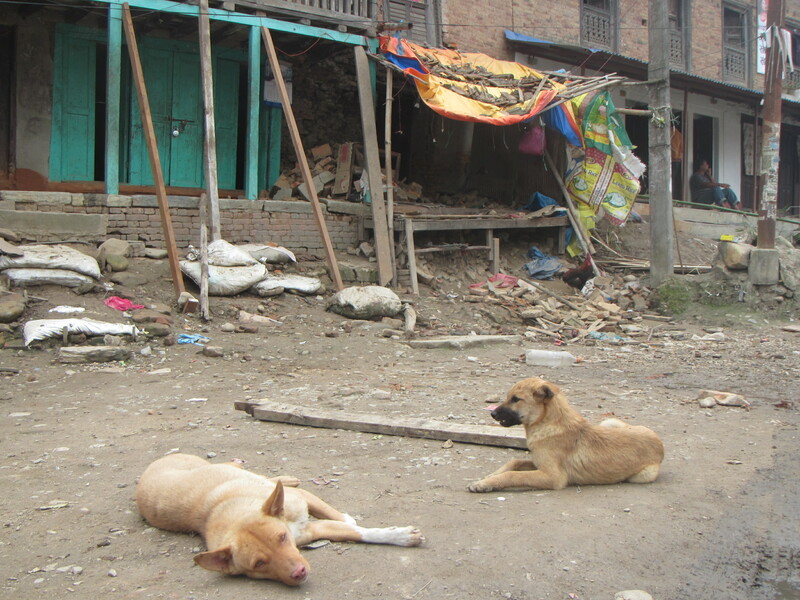 Because of the earthquake, many dogs are getting displaced into unfamiliar territories as the seek refuge and they are getting attacked by other dogs fighting for survival. 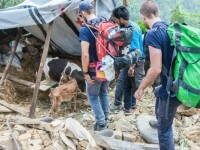 Dr. Springer Browne of World Vets and Dr. Suman Khadka from Animal Nepal assess a cow that had been trapped between collapsed buildings for three days. 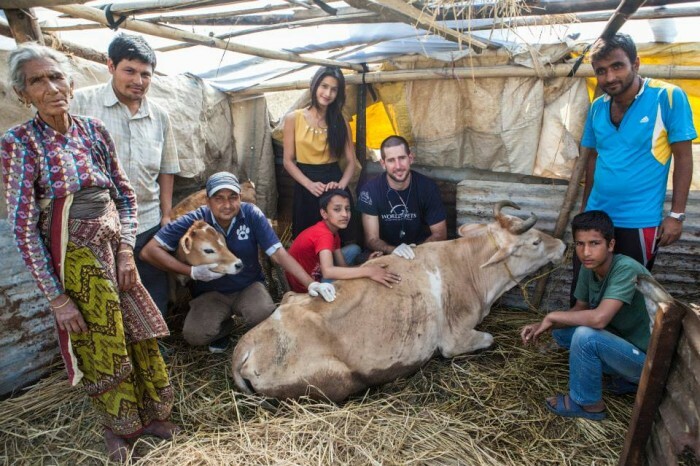 The cow had recently been rescued in Baneswor area of Kathmadu and was suffering from a severe metabolic disease from the ordeal. 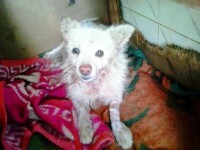 She was in very bad shaped and would have died without treatment. 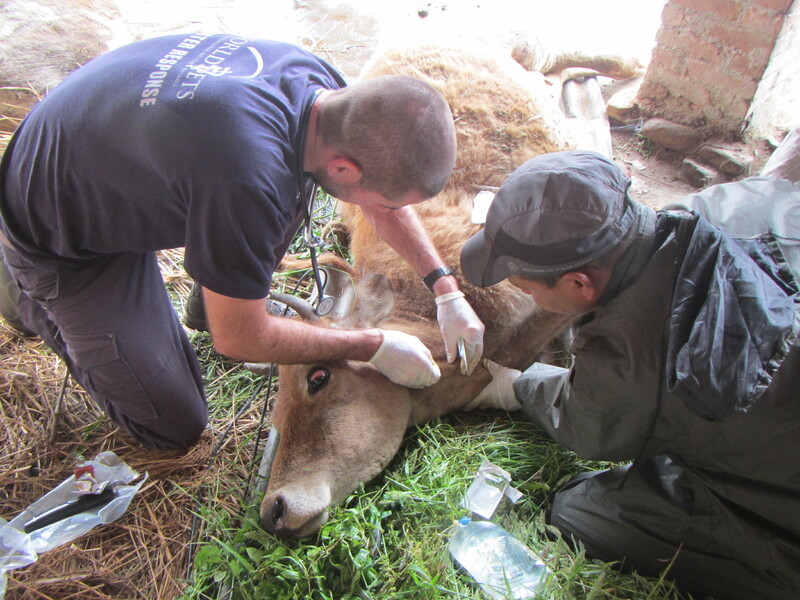 They got to work right away administering intravenous treatments to which she showed rapid signs of improvement. They will go back and check on her tomorrow but thankfully she is expected to make a full recovery. 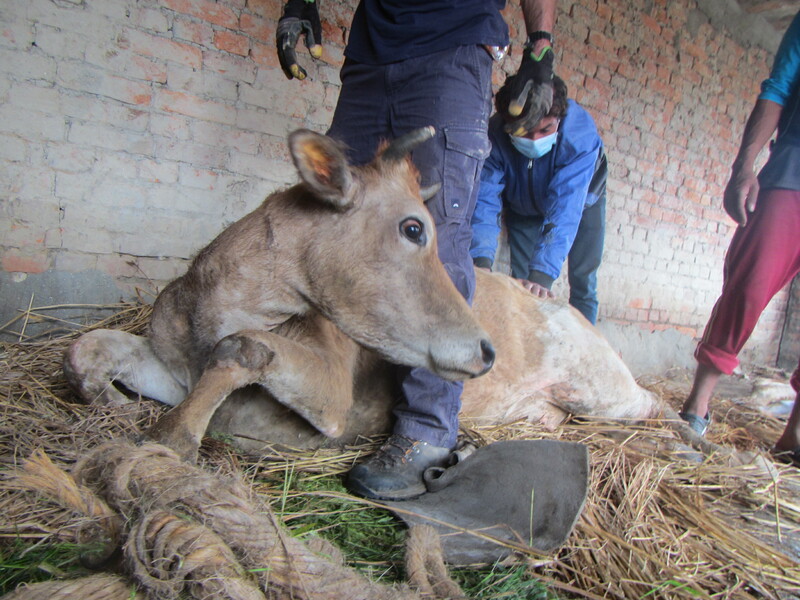 Tragically, another cow died before we knew about the situation and our vets were able to get there. 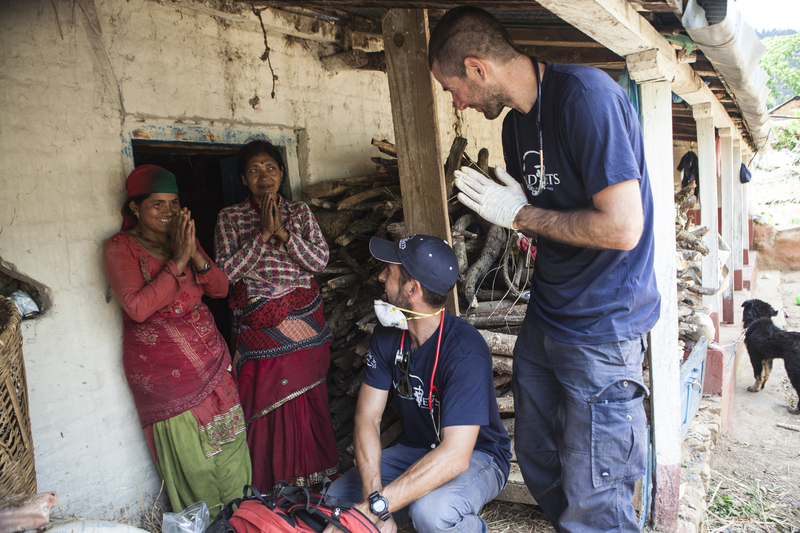 Communication channels are inconsistent but details are coming in on the rescues that are happening in the field. 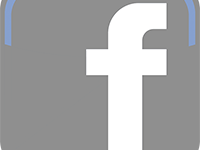 We will provide updates of some of those stories on this page. 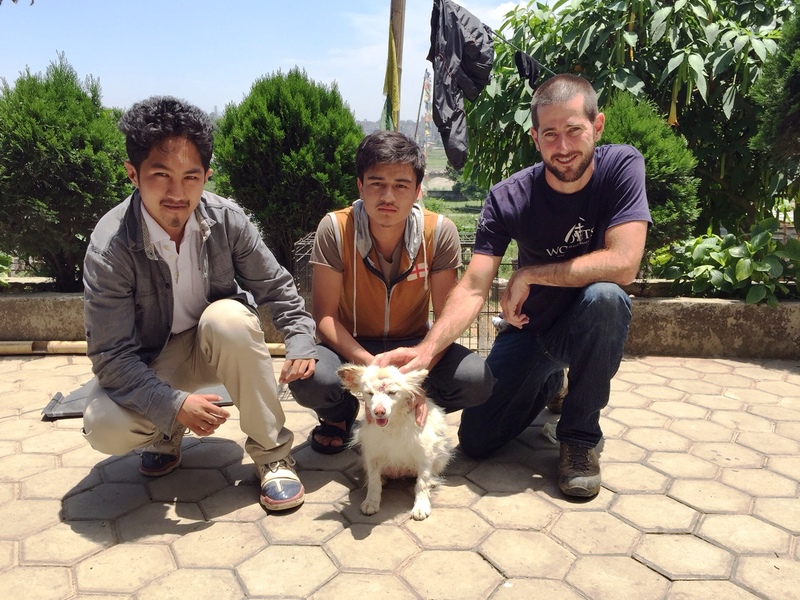 UPDATE (April 27, 2015) Our disaster response veterinary team has been activated and is deploying to Nepal. 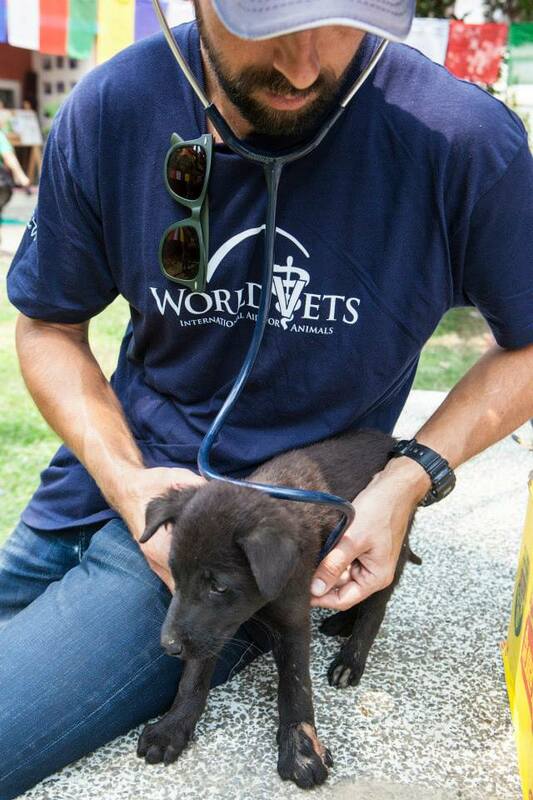 Our first responder vets will be there for at least three weeks, with additional support to follow as needed. 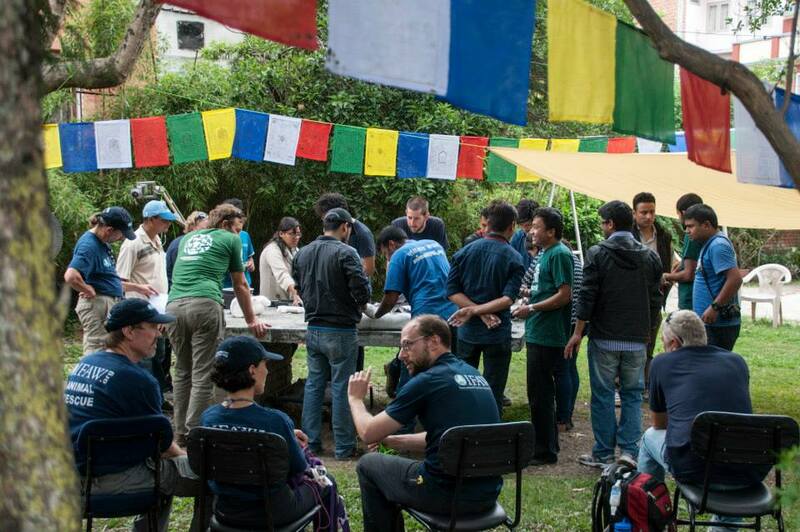 Thanks to the Fondation Brigitte Bardot for their support of our disaster preparedness and relief efforts.